AFRICAN AMERICAN REPORTS: Do you like the official portraits of Barack and Michelle Obama? 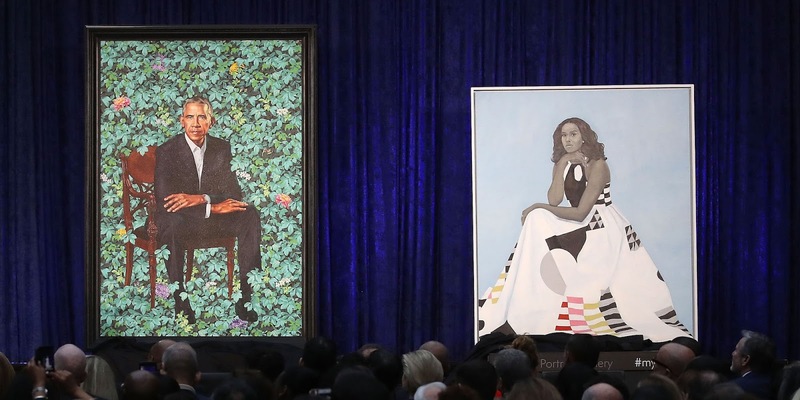 Do you like the official portraits of Barack and Michelle Obama? The Smithsonian's National Portrait Gallery unveiled the official portraits of Barack and Michelle Obama. Barack Obama's portrait was created by Kehinde Wiley, a black artist best known for his vibrant, large-scale paintings of African Americans. Michelle Obama's portrait was created by Amy Sherald, the winner of the Portrait Gallery's 2016 Outwin Boochever Portrait Competition. Some people like them while others hate them. What do you think?